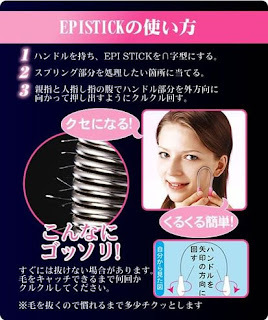 Review: EpiStick Facial Hair Remover - Cherry Colors - Cosmetics Heaven! I ordered it on Ebay for only 1.99$ with free shipping. Cool, no? Even if it wouldn't work, I think it wouldn't be a waste. It's a fun little device. Actually, it looks pretty interesting, you may wonder 'a torture device'? I had no idea on how to use it, but the master Youtube told me how to do that. After that everything went super smooth on. It's quite easy to use and that's its only function so. yah.. I wanted to try it out on that little hair I have on my face. Right next to my ears. They're super tiny and light, but I know they are there. It was easy to use, but it hurt. Not like 'omg it hurts' but more like an irritating hurt. A pain that you want it to end, because it's just irritating. I get that kind of pain with epilators. But after the use, I feel super happy because I don't have to bother with hair for a month! 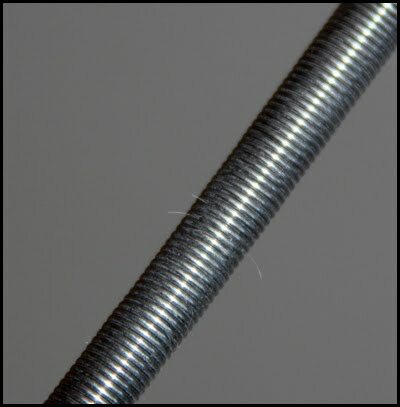 + An interesting product that actually pulls hair out! +Great way to remove facial hair. - It's only for the facial hair. Those are only a few hairs, but that's because I was using this little thing since yesterday when I get bored.. and now only a few hairs are left on my face! YAY for it! It's quite a fun product because you have to twist those little handles for it to work. And it does remove quite quickly the hair. Tho for those of you who haven't experienced the 'beauty' of removing facial hair (eyebrows etc), then it may be surprisingly painful... But still, for that price it's so worth it!